It was a beautiful day in Calgary yesterday with warm, sunny skies. The perfect start to GPS 2016! We set up the Davies Molding booth #2123 in the Corral exhibit hall at Stampede Park and were ready to go. 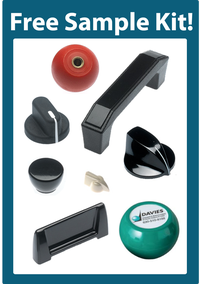 We had many visitors come by to discuss our standard knobs, handles, cases and our custom plastic components. 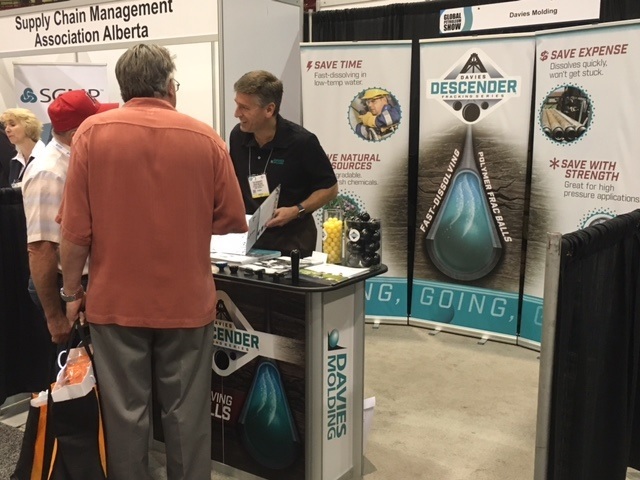 But, with this being the Global Petroleum Show, there was a definite interest in our frac balls and the Davies Descender series of dissolvable frac balls. As oil prices continue to rise, fracking activities are expected to pick up, creating a great opportunity for our frac balls. We did have several visitors ask us about other possible applications for our DDP resins. What a great idea! Yes, we can produce other shapes and down-hole components using these resins! We're looking forward to Day 2 and more great conversations with the attendees of GPS 2016! Please visit www.daviesmolding.com to learn more about our Descender series and other products we manufacture.